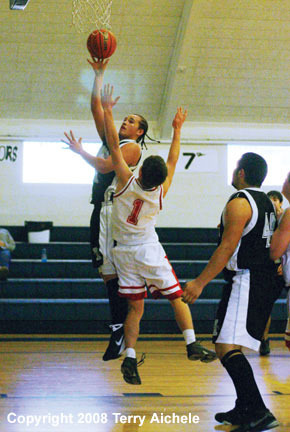 Jesus Munoz of Irrigon puts up a shot against Jesse Smit of Pine Eagle in the game on Saturday. ECHO - The Irrigon Knights defeated the Pine Eagle Spartans at the Echo Invitational on Saturday, December 6, 2008. Pine Eagle with only six players suited up led by 19, 30-11 early in the second quarter. Fouls forced Pine Eagle to play only four for most of the fourth quarter allowing Irrigon to take the lead and press on to win the game 68-57. With only six players that meant that Pine Eagle had to be careful foul wise. For a team at full strength like Irrigon just keep rotating new players every few minutes and wear the undermanned team down. The first quarter had Pine Eagle pressing and moving the ball around holding Irrigon to six points for nearly five minutes. The quarter ended with Pine Eagle leading 23-11. Irrigon was stuck at 11 for the opening two minutes of the second quarter. Pine Eagle kept scoring taking a 19 point lead two minutes into the quarter. Irrigon never gave up and chipped away at the Spartans lead closing to ten for a score of 39-29 at the half. Pine Eagle starting getting into foul trouble and eased up on their pressure defense. 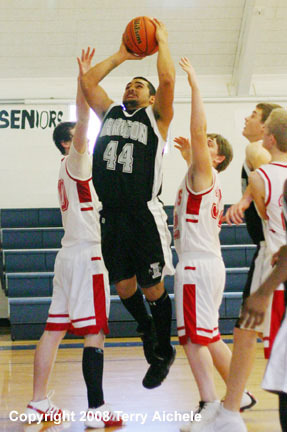 Irrigon became bolder in their play closing to five, 42-47 at the end of the third quarter. Jesse Smit fouled out at 6:35 of the fourth dropping the number of available players to four. By 5:25 Irrigon took the 48-47 lead. The score remained close until a minute to go when Irrigon shut the Spartans down. Irrigon scored the last eight points to take a 68-57 win. 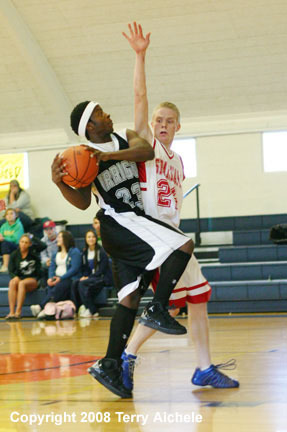 LEFT - Marquese Taylor of Irrigon drives to the basket. RIGHT - Jesse Smit of Pine Eagle reacts to the ball being deflected out of bounds. 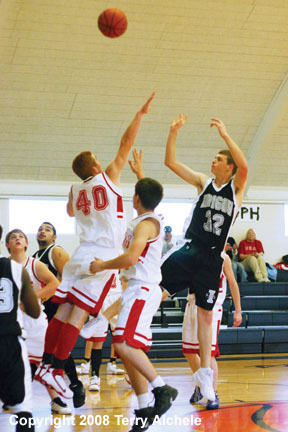 LEFT - Pat Barron of Irrigon puts up a shot while being closely guarded by a Pine Eagle player. RIGHT - Colton Garrett of Irrigon makes his way around a Pine Eagle defender. 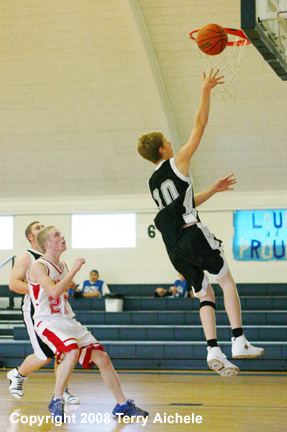 LEFT - Dustin Osborne of Irrigon goes in for a layup during the game Saturday. 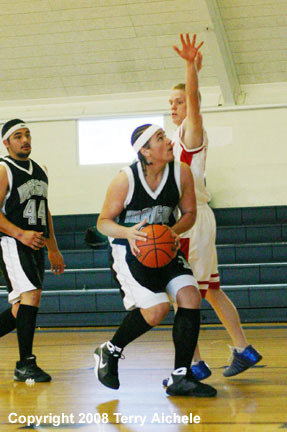 RIGHT - Jesus Munoz of Irrigon drives to the basket. 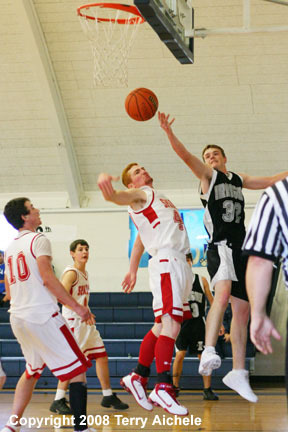 LEFT - Pat Barron of Irrigon takes a shot over Pine Eagle defender Jesse Smit. 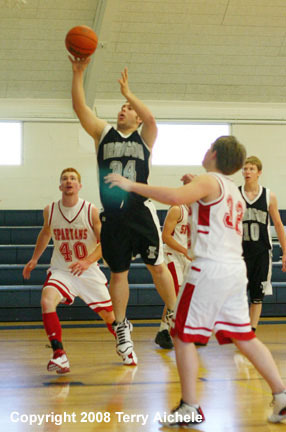 RIGHT - Dustin Osborne of Irrigon goes in for a layup. 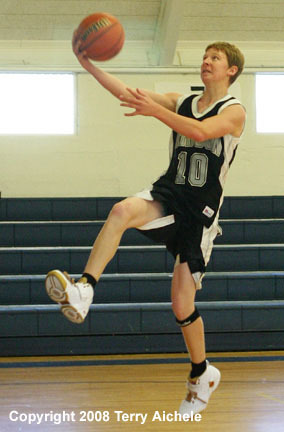 LEFT - Scotty McDaniel of Irrigon puts up a shot during the game on Saturday. 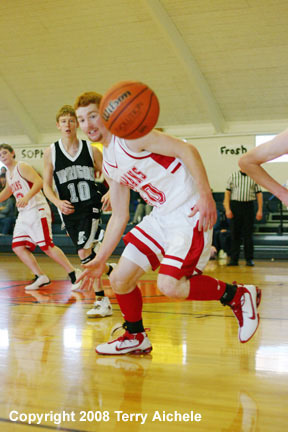 RIGHT - Colton Garret of Irrigon drives to the basket during the game Saturday.